I am currently active as AD5XI in Maryland, USA. M0PCB is an Amateur Radio station located in South West England. I have had this call-sign since September 2000, before that I was M1ETJ for a few months and prior to passing the RAE I was SWL RS181338. I also hold a full licence in The Falkland Islands, VP8DNA. My home land is County Durham, although since graduating with an MEng. (Hons.) in Radio Frequency Engineering from the University of York I have been living in the South West. I passed the City and Guilds Radio Amateurs Exam at the age of 15, while a member of the Bishop Auckland Radio Amateurs Club. Shortly after that I took my 12wpm Morse Code test at the Peterlee Radio Club and was issued with my current licence. 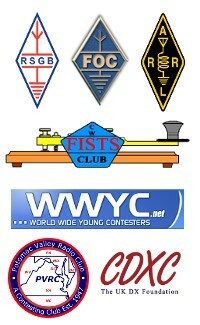 I am currently active on all the bands from 160m to 2m, predominantly CW these days. My on-air activity is a mixture of rag-chewing, chasing DX, contesting and being the DX.